The river levels are having an affect. 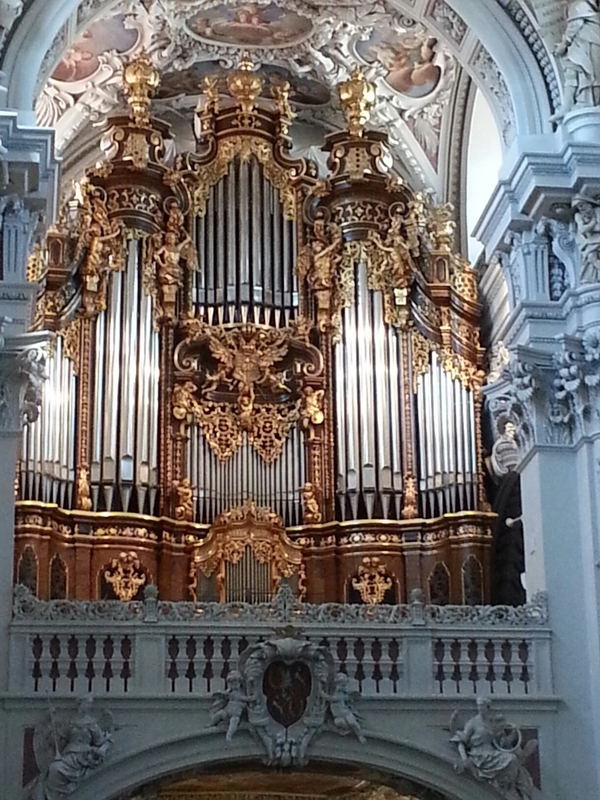 Because we are behind schedule, in order to make it to Passau in time for the organ concert and our walking tour, we stopped a few km’s short and were loaded onto buses to scoot us into town. We were told two ships had hit the bridges while trying to pass under. It crew has lowered the umbrellas, folded the chairs and dropped the railings on our sun deck. no sunbathing for us. We hooked up with a different tour guide after the concert who took us through some narrow back alleys to the other side of town (about four blocks). 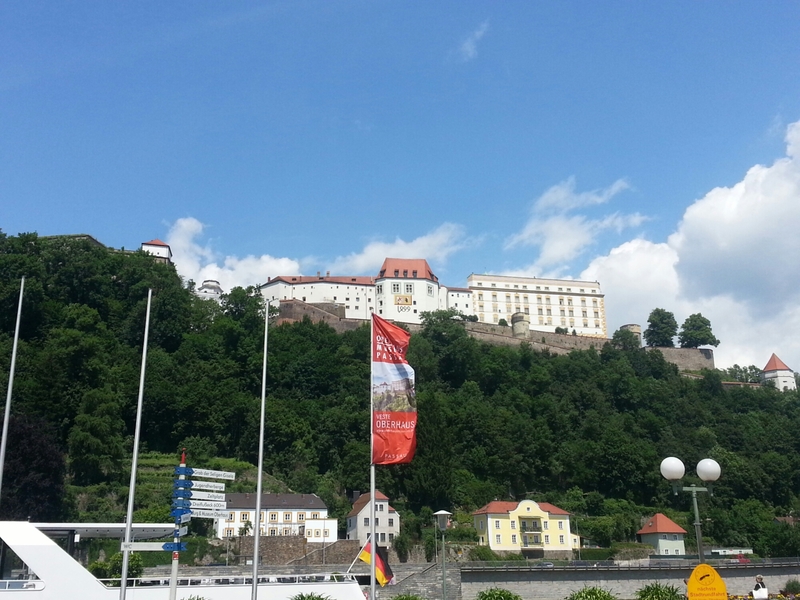 Passau is built at the junction of three rivers, the Danube, the Ilz and the Inn. 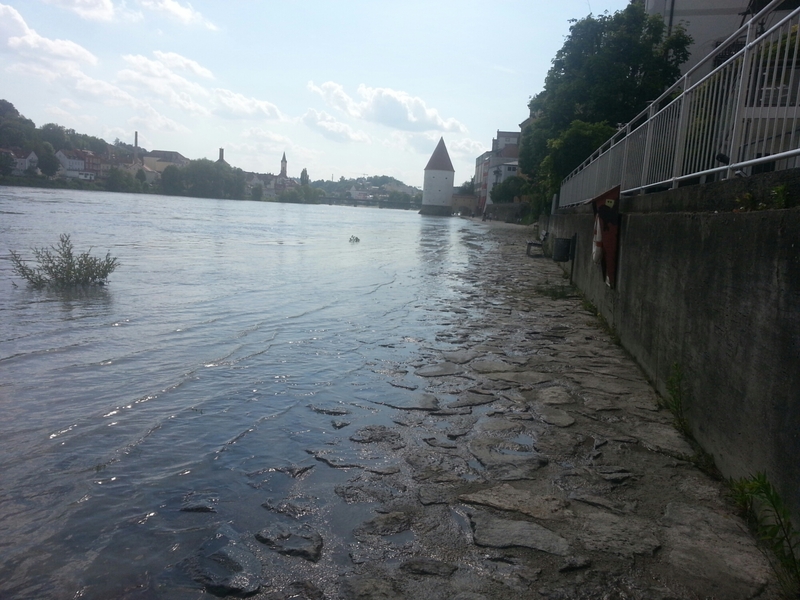 The Inn comes down from the higher elevations and has a distinctive lighter color than the brown of the Danube. It is also flowing high and up over the sidewalk. 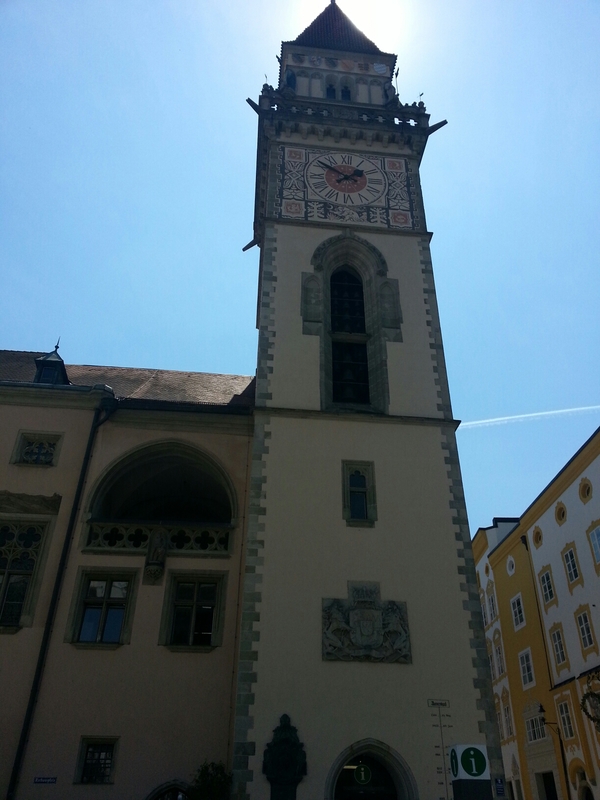 After the tour and lunch, we decided to catch the glockenspiel at the town hall (rathaus). not even as impressive as New Ulm. The interesting sight was the high water history on the wall, about ten feet up in 2013, the biggest since 1850-something. You might be able to see it on the lower right. The view from the bottom, the overlook in the top left. Tomorrow, on to Regensburg, presuming we can get under the bridges.